This was very cool. I’d printed off the 2 day schedule from the Xerocon website and tutted a little bit that they hadn’t had the foresight to have it available as a downloadable pdf. Er, yes that’s probably because they had an app designed instead. This app not only kept me up to date on what was happening but sent me updates, let me mark my favourite talks, write notes, see all of the exhibitors, add a profile and probably loads more stuff that I didn’t even know it did. The app told me that registration started at 8am. I’ve been to a few conferences before (admittedly not for a while) and imagined a few massive tables with name badges laid out and we’d have to queue for hours to give our name while they frantically searched the table for the corresponding badge – Xerocon was different. Friendly people met us in the queue-less entrance, scanned our tickets and sent us pick up our pass. In the 20 feet we walked to pick up the pass it had printed out and was given to me with a smiley ‘Welcome to Xerocon Anna’ – wow, these guys are good. This level of efficiency was prevalent throughout the whole conference, where there was potential for faff this had been thought of and dealt with so that everything was super slick. When you visited a stand to talk to someone they could scan your pass meaning that they had your contact details and your visit was stored on your app – my trendy business cards lay embarrassed and redundant in my bag. After picking up our free coffee (more on this later) and having an initial suss-out of the exhibitors we settled in the main hall to be welcomed by our lovely host Nigel who later wowed us with some magic tricks. Over the 2 days we were lucky enough to see some truly brilliant speakers who left us thinking, talking, discussing, motivated and inspired. Richard Susskind was one of the most engaging speakers I’ve listened to. His talk covered the rise of computer intelligence and how they will come to replace many roles traditionally done by humans (including the Accountant – eek!) but how in this ‘new age’ there is massive opportunity to embrace efficiency and scope for the ‘human’ emotional tasks to rise to the forefront. 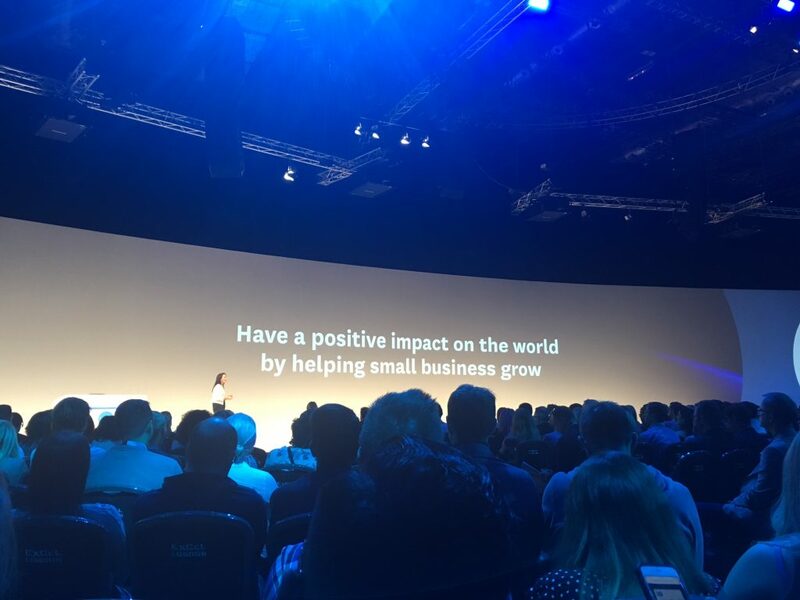 We heard from the Xero team about the incredible rise in number of Xero users and how this has enabled and encouraged them to create some brilliant new developments to the software. There was a huge emphasis on how important we, the partners, are and how much they welcome our feedback. This felt very genuine and was backed up by large area in the exhibitor hall dedicated to a team answering any of our Xero queries. Rachell Powell gave a particular motivational talk on building successful teams. She shared the ethos behind Xero and how this is shared with all employees. We felt like Xero was a cool place to work and plan to steal some of her ideas, for example the gratitude wall – a place to stick post-its of gratitude for something someone in the team has done that week. Matthew Syed was the last speaker on the first day and motivated us all with his talk relating to his book Black Box Thinking. When there is a plane crash the black box allows dedicated teams of people to learn how they can improve upon an already incredibly safe method of travel. His point being that we need to all be a ‘growth mindset’ where we constantly want to improve in any way that we can. We need to look for where even the smallest efficiencies can be gained and really learn from our mistakes. Day 2’s highlight was Emma Jones from Enterprise Nation who talked about what Small Businesses Want. This was a real eye-opener and took our heads out of the tech a minute and back into the small business owner’s shoes. We reaffirmed our worth as trusted advisors and how much we can offer these businesses owners. The breakout sessions offered a variety of different talks. I learnt more about the Xero app family and walked away determined to really focus on this area. Our clients use many different apps that talk to Xero but it felt like there was so much opportunity for efficiency here. We also heard from Marketing gurus Andrew and Pete who made us giggle and gave us clear focus for our own marketing. The last guest speaker of the conference Tim Leberecht tied in nicely with the very first guest speaker. He also spoke about how as computers take over our jobs and do them more efficiently, we must focus on what can be done ‘beautifully’. He inspired us to think differently, embrace the change and maintain our humanity. The exhibition hall was stuffed full of inspiring companies mainly who offered efficient app integrations with Xero. We loved putting faces to names of people at apps we already know and love like Futrli, Datamolino,Unleashed and Go Cardless. We were also introduced to some really interesting ones and got the chance to chat to the team behind ones we’ve had our eye on. Our favourites being Practice Ignition, Boma, Fluidly and Curve. As mentioned earlier the world of Xero apps is truly amazing and we are fired up to keep learning about the best. 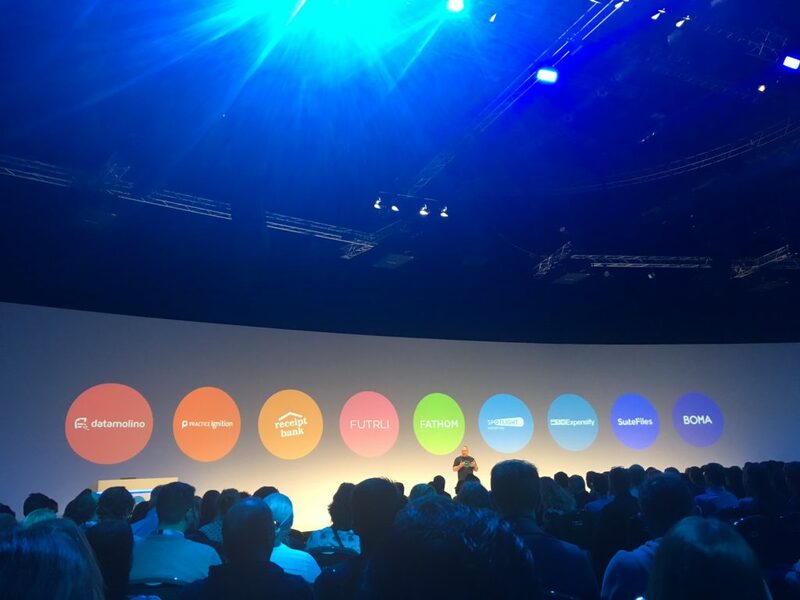 10 out of 13 of our team went to Xerocon this year. This was a big investment for us as the tickets came with a fairly hefty price tag and then there was travel from Cornwall, accommodation, food etc. I don’t hold the purse strings but I’m confident in saying it was well worth the investment. The price of the ticket actually offered incredible value not least because we got to hear from some amazing speakers and immerse ourselves in the world of Xero, but because we were treated to delicious coffee, smoothies, snacks and food throughout the 2 days. And this wasn’t unpalatable coffee and soggy sandwiches, this was delicious freshly ground cappuccinos, fresh fruit and veg smoothies, salmon with quinoa and lightly roasted seeds… you get the picture. They hadn’t tried to scrimp on the food and instead had offered us all, for free, a huge array of healthy, top quality food and drink to keep our energy up rather than make us feel sluggish and full. This was massively appreciated. 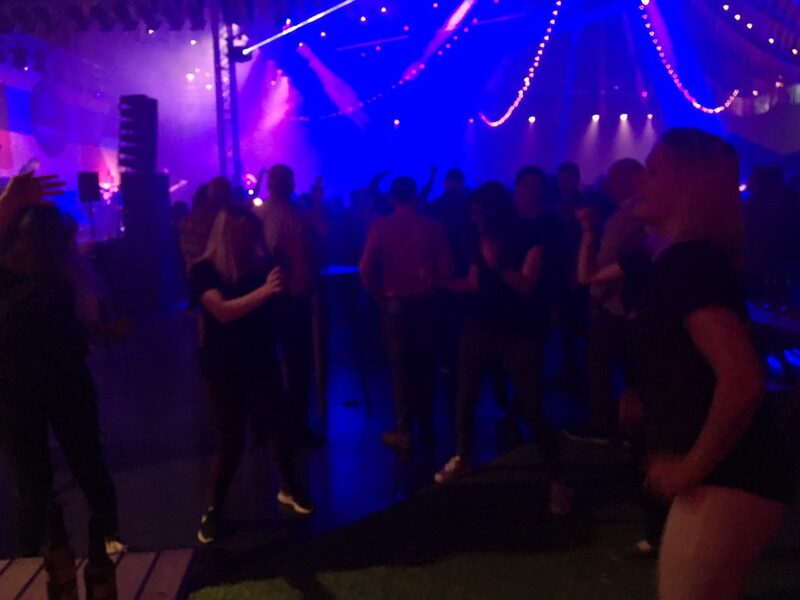 This was another ‘really?’ scenario – The Xerocon Party. A massive room full of accountants a little bit tipsy and attempting to network. 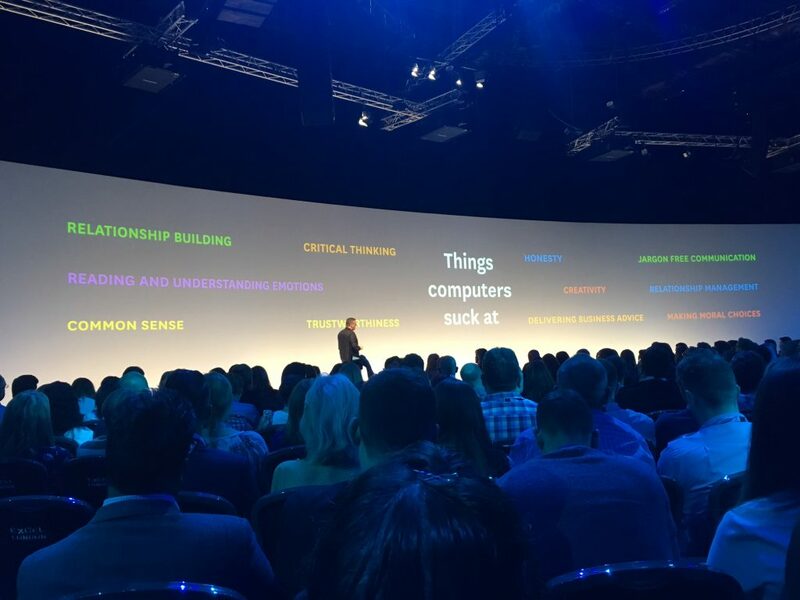 But no, Xerocon was different. We were met at the entrance to the party by Xero Founder Rod Drury and MD Gary Turner and ushered in to a huge room dark enough to feel like it was a proper party. The room was complete with a double decker bus bar, a karaoke caravan, a taxi photo booth, an awesome band and various quirky and delicious food vans. Again it was all free and our team took full advantage of this (ahem). 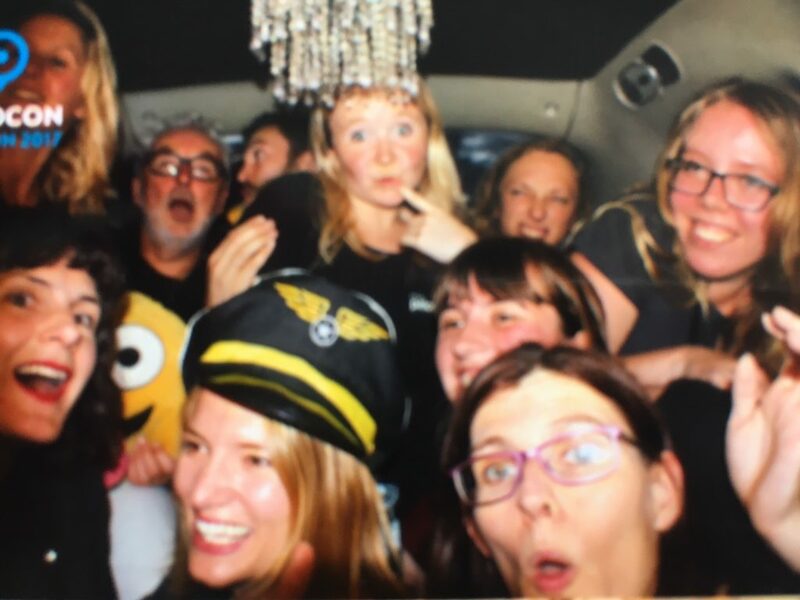 I met some friends the next day who point blank refused to believe me that I had actually had a brilliant night at my accounting conference networking party but we did, it was fab. So fab that we were dancing on the tables (until we were politely asked not to do that). You might have expected the Xero team to nail the tech side of the conference, but the party too? Awesome. So yes, we had a pretty good time at Xerocon! As a business we’ve invested a lot in Xero and this totally reinforced that we’ve backed the right horse. We’re so excited to implement everything we learnt last week and whilst we were always pretty passionate about what we do, we are even more fired up. Thank you Xero (and Mike for having the foresight to see the importance of taking us all rather than just a couple of people from the office).